Company Carbo Concept Ltd. is production-exporting company with over 20 years of existing. 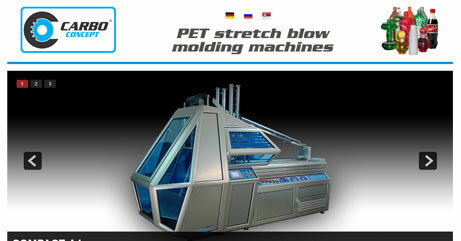 Being (working on) in engineering and production of PET stretch blow molding machines (that produces PET wrapping material). 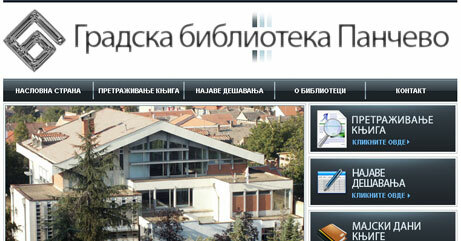 Create a web site for such a large company, it was not an easy task. You know how engineers are demanding, everything has to be perfectly in place. Bologna’s COosmoprof, Moscow’s Intercharm and Belgrade’s The touch of Paris are the largest beauty fairs in Europe. The Touch of Paris is an international fair and it is held twice a year, in spring and in autumn. This project is unique in complexity and its very comprehensive. The long tradition of Pancevo library dates from the 19th century. This is an institution with a long tradition and making a site for them was a very responsible job. Site had to be as simple as possible, with clean design and high functionality. Marko Bukvić is a famous Serbian physiotherapist. He cooperates with famous athletes. Swimmers Milorad Čavic and Nadja Higl are his clients. He is currently working at the Galatasaray Women's Volleyball club in Instanbul, Turkey. Making a site for him was a real pleasure, but Marko was very demanding about design and usability. SunService d.o.o. 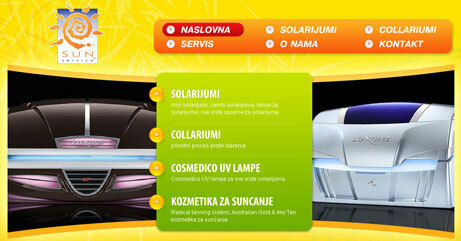 is the exclusive importer and distributor of Luxura, Dr. Kern and UWE sunbeds for Serbia. They had strict requirements for website development. They were looking for a modern, well designed and functional website. Big or small, it doesn't matter. I've worked on everything from personal blogs to enormously big news sites and extremely complex company sites. For those that already have a design completed, but need someone to build it out. I will transform your design in HTML/CSS or WordPress theme for the very short time.